Sometimes I actually wonder whether it’s possible to enter Primark and not buy something!? Of course there’s a few questionable items instore however there are SO many new cool pieces that appear each week. Primark is definitely an addiction! 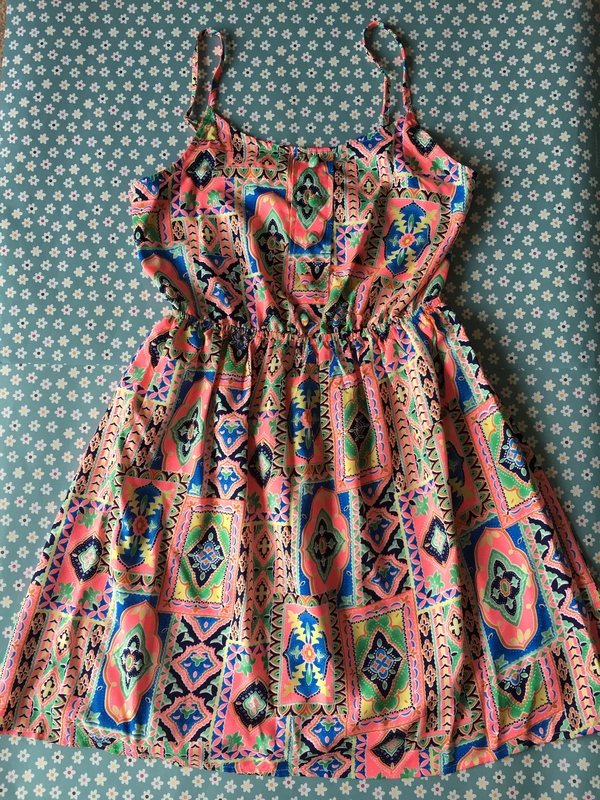 So my absolute favourite item that I picked up this week is this gorgeous dress which is perfect for my vacation or teaming up with a chunky cardigan for our indecisive British weather. I love the colours and pattern. It’s so vibrant and fun. It features cute buttons on the front with shoe string straps and an elasticated waist. The back has the wow factor with a slightly large cut out and zip. I never thought that I would ever buy a dress with a cut out however this dress is so flattering when it’s on. It’s a light weight polyester which doesn’t seem to wrinkle too much (perfect for being packed into a suitcase). 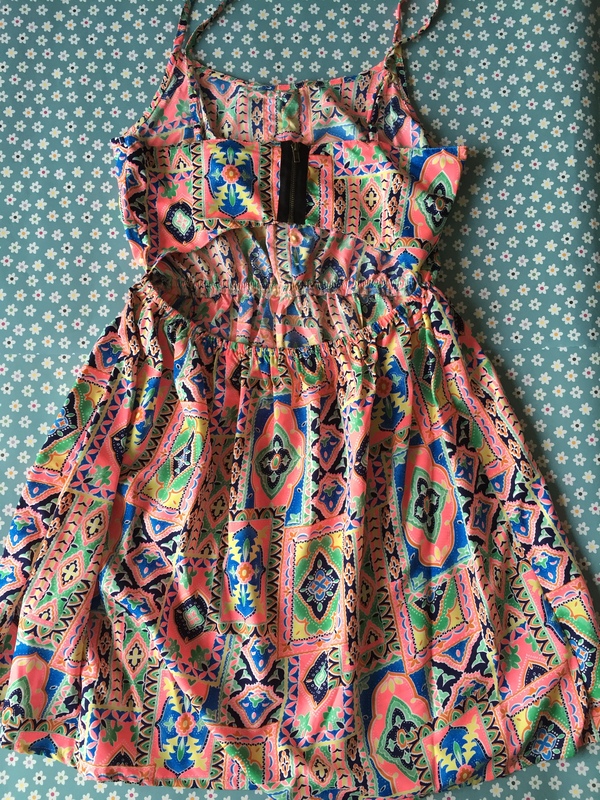 It was only £8 and I know I will be wearing this a lot this Summer! 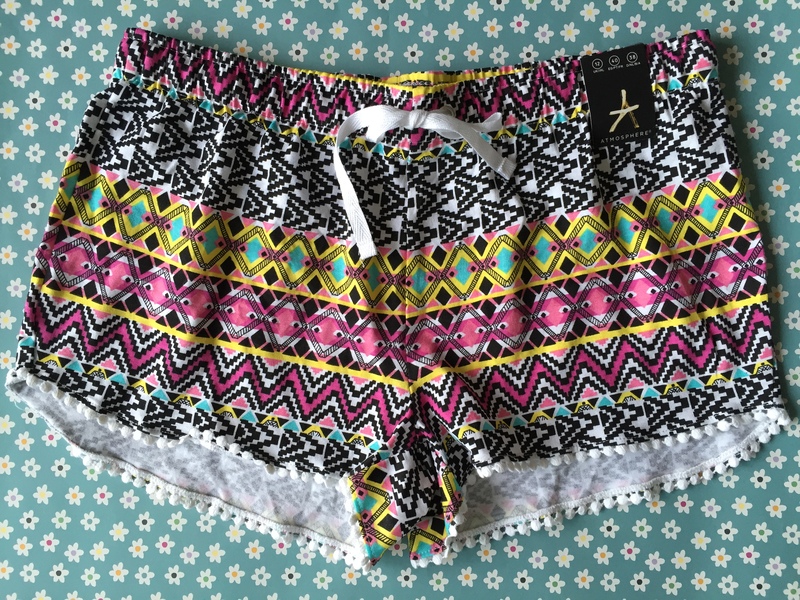 Next I picked up these Aztec patterned shorts which featured a crochet/dotted detailing around the legs. I thought that these were just so cute. They come in a variety of designs all with the dotted detailing. They’re a thin cotton with an elasticated and draw string waist. I would recommend going up a size if you don’t want them to be too tight or obscenely short. These were only £3. I’m loving cut outs on tops at the moment and this top jumped out at me. 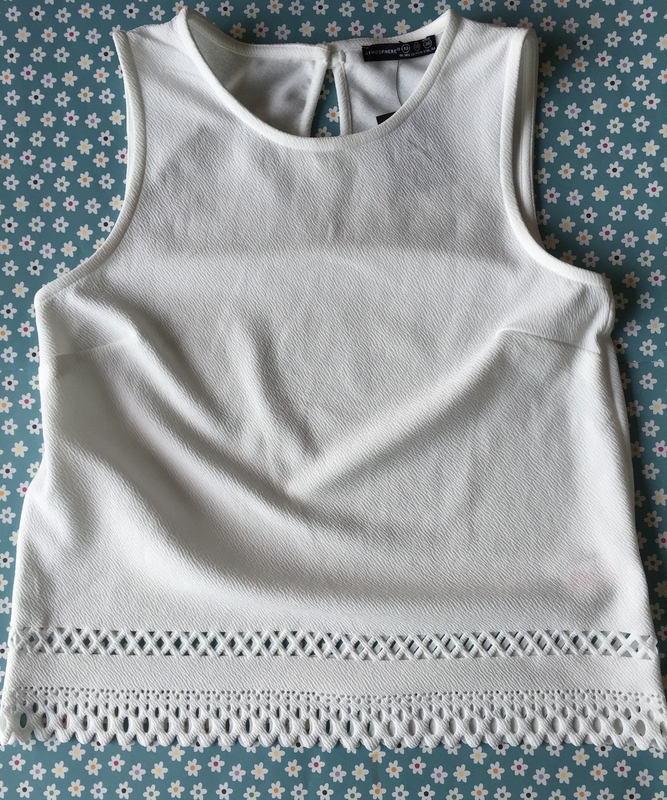 It’s so versatile as you can’t really go wrong with a white sleeveless top. You could team it up with shorts during the day time or skinny jeans in the evening. I like the dual row of cut outs as this first lies directly in line with my belly button, which is pierced, so that discretely shows. It’s a thicker cotton and was £8. 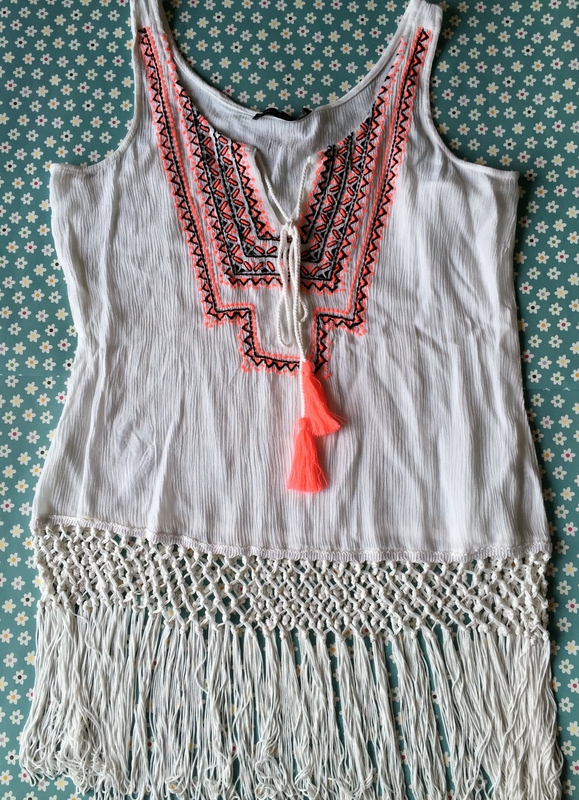 Fringing is also something that I never thought that I would be drawn to and here I am buying a fringed top. This looks so flattering when it’s on. It’s just a simple sleeveless long top with fringing, which sits around your bottom. It is the perfect bikini cover up although would look cool with some denim shorts. It’s a light cotton that’s crumpled. I love the embroidered design. I would recommend going a size down as these are pretty big made. This was £10. 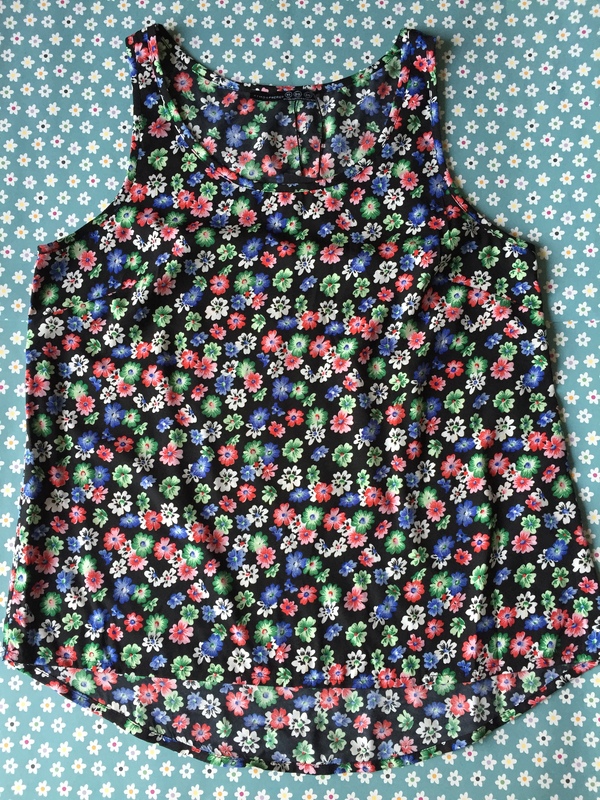 Lastly I picked up this floral vest however I actually think I may already own it?! I can’t actually find it in my wardrobe, most likely I’ve put it in the classic “safe” place that you will always forget where that is haha. As you know if you read my posts, I love these vest tops. You can easily dress them up or down for a day to night time look. They’re a thin polyester and look amazing on. This was £4. Now that I’ve started building up my Summer wardrobe, I cannot wait until our vacation later on in the year. Although as it’s almost June (how did that even happen!? This year is FLYING in!! ), we’ll be on our way in no time. Let me know if you have purchased these items, what your favourites are and if you have recently purchased from Primark I’d LOVE to know what you picked up. Love everything especially the printed dress, shorts and the white top! Such lovely and amazing pieces! 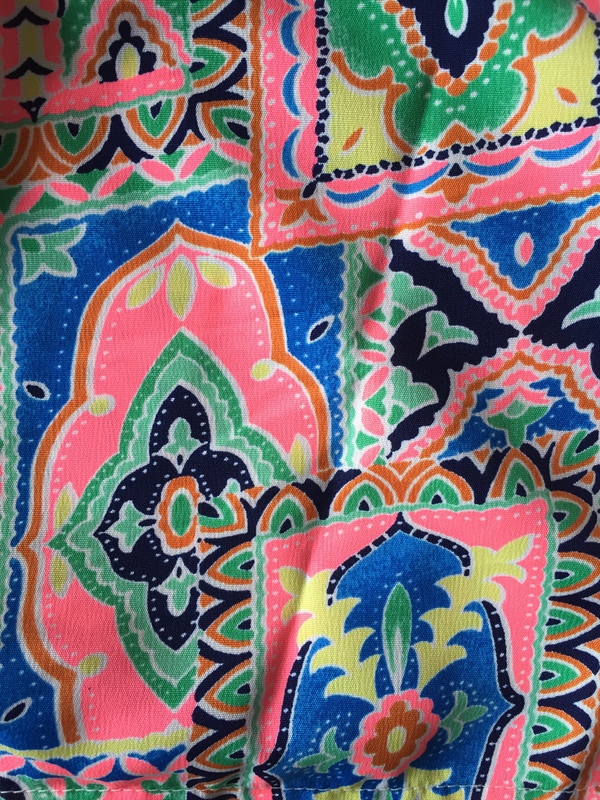 I LOVE those shorts; the colors and print are perfect for summer. Hope you have a wonderful weekend hun!